Get a taste of the wonderful Raj and feel like you’re in the movie ‘The Second Best Exotic Marigold Hotel’ on our First Class Tour of Rajasthan holiday. The Second Best Exotic Marigold Hotel is the story of British retirees venturing into incredible India. India makes a great place to escape to for a couple weeks, it offers a culture that is a world away from UK life, and like the film, our Rajasthan in Style tour captures the romance and colour of India’s most culturally rich and scenically splendid region. A follow up to The Best Exotic Marigold Hotel, this comedy-drama was filmed in and around Jaipur in Rajasthan, India.The hotel in the movie is a beautiful piece of raj architecture that is typical for the region. Travellers on our First Class Tour of Rajasthan get to stay in wonderful heritage properties that provide a similar authentic taste of the Raj as in the film. However, unlike the Marigold Hotel, which is known for not being quite as luxurious as advertised, our guests stay in stylish heritage hotels created from former palaces, and comfortable cottages as guests of the local landowner. 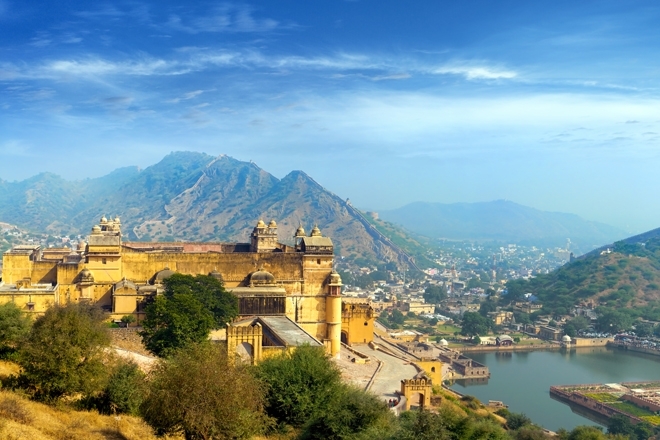 The movie is filmed near Jaipur, which offers some amazing sights to see. On your tour of Jaipur you will get to explore this labyrinth of city with buzzing bazaars, opulent palaces and historic buildings like Amber Fort, City Palace and Place of Winds – all of which are sure to create a glorious experience and make you feel like you’re in the movie itself! This Rajasthan tour visits several other major cultural attractions including the floating palace of Udaipur and the incomparable Taj Mahal. You will also visit villages and nature reserves with opportunities for game viewing, bird-watching and optional gentle walks.